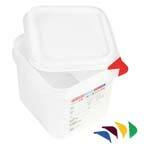 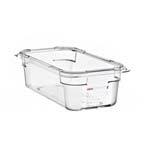 Safe for the microwave, freezer and dishwasher. 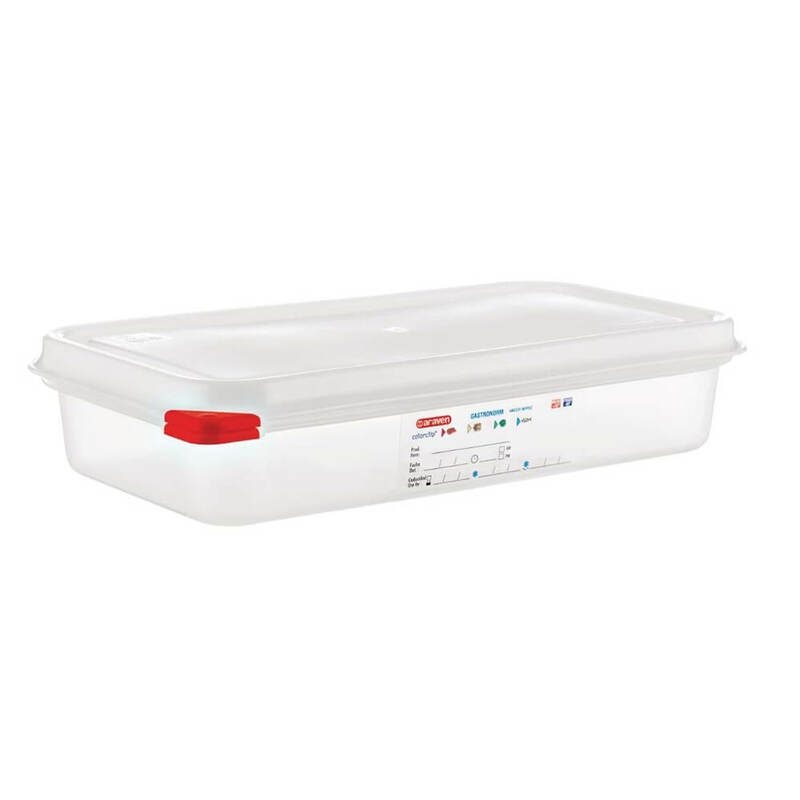 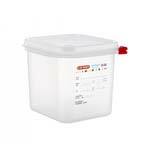 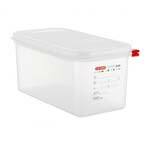 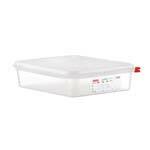 An airtight food storage container and lid with a capacity of 2,500ml which is ideal for food preparation in commercial kitchens and food storage at home. 1/3 gastronorm size at the top, 325 x 176mm and 65mm high. 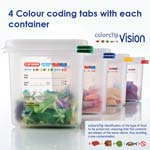 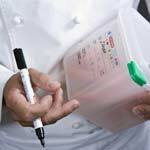 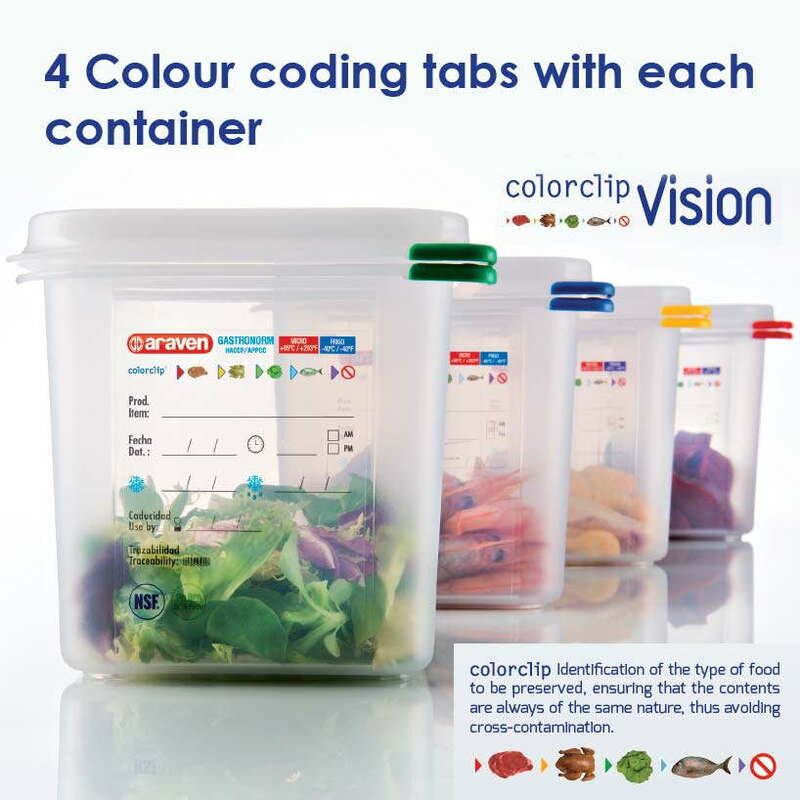 It comes with capacity scale on the side, 4 colour coding tabs to help avoid cross contamination and a permanent label on one side which will stay like new after every wash. Made from BPA free polypropylene it is freezer, microwave and dishwasher safe to make cleaning up quick and easy.